The days of treating customer service as a tick box exercise are over. After years of flaky product-centric service, today’s consumers expect something better. They expect fast, seamless omni-channel service – and they expect you to be there in the right place, with the right response, at the right time, every time. The customer experience is now the biggest differentiator out there, and the brands that are coming out on top are those who are going all out to deliver personalised, contextualised and consistent experiences every time. In fact, 85% of executives with service oversight believe it to be a key competitive differentiator. It’s time to double down on customer service and show your customers that you care by delivering personalised interactions that make their lives easier, whenever and wherever they need. At scale. It’s easy to say you need to transform your customer service, but if it was simple, everyone would be doing it. So, what’s getting in the way? The truth is, many service teams are simply underprepared (and undertrained) to meet the expectations of today’s connected customer. Fragmented customer journeys; multiple, disconnected channels; unstructured, disparate data; and a lack of business alignment. It all adds up to create an overwhelming barrier between your service agents and customers. 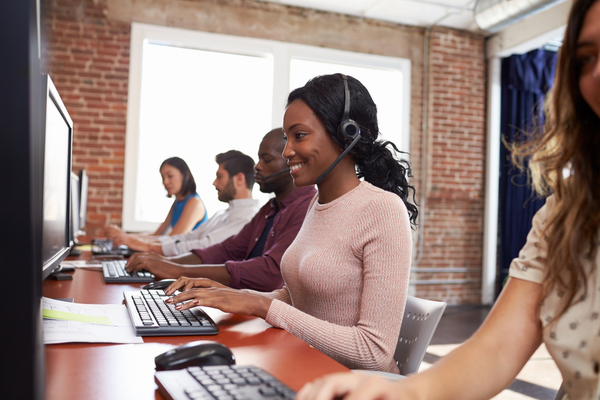 To deliver stellar customer service, you’re going to need to empower your agents. With all your data integrated in one place, every agent has visibility into who the customer is, their history with your brand, where they’ve come from and how best to help them. Next, you’ll need a single, connected platform from which your agents can apply that visibility and deliver consistent service across every channel – anytime, anywhere. With the help of AI, you can ensure that every customer query is directed automatically to the agent (or materials) best suited to help. Better yet, AI can make next-best-action recommendations to your service agents, based on analysis of historical service interactions, to help ensure a prompt and productive resolution. Chatbots can also be assigned to handle simple customer queries, freeing your agents up to tackle more complex queries. Lastly, empower your agents with an interactive KPI dashboard. From here, agents can track their performance, set personal targets and align their goals with the wider business to ensure that customers are receiving the kind of experiences they expect. Centrica Hive was the first of the ‘big six’ energy companies to bring smart-home devices to the UK energy market. Since day one, they’ve used Salesforce to scale and advance their capabilities for customer service and helpdesk management. But when Hive found the volume and complexity of its customer requests were far exceeding expectations, it knew its agents would need to bolster its Salesforce suite, fast. By adding Salesforce IoT Cloud and Community Cloud to its armour, its service agents can proactively monitor their customers’ device statuses, as well as push out explanatory content at exactly the right times, based on their customers’ preferences. The addition of those products alone has led to an incredible reduction in the numbers of helpdesk calls they receive. And it’s freed up their time to connect up more dots in their data, so they can deliver even more personalised engagements and services. Now, they’re looking to automate their simpler, more repetitive tasks, to free up even more time for their hard-working teams. Win-win. Companies across all industries need to elevate omni-channel service to deliver the powerful, connected experiences their customers expect. Ready to elevate your cross-channel service experience? 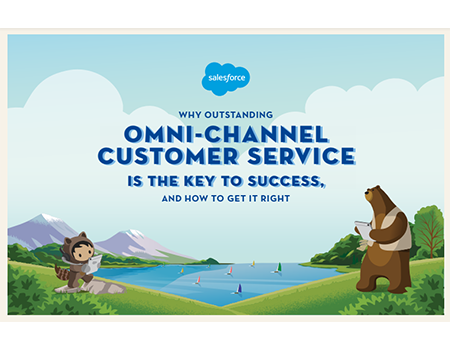 Check out our new Omni-Channel Customer Service eBook to discover why great customer service experiences are still so rare, and learn exactly what to look for in a customer service platform.